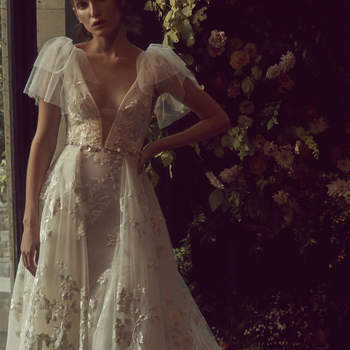 Monique Lhuillier made a very good impression with the line’s collection for Fall 2019, but the Bliss Collection – an offshoot range released biannually, and always to critical acclaim – might just have picked it the post as our favorite for the coming season. 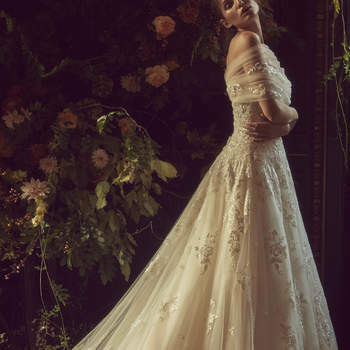 The Bliss Collection is a more exclusive aspect of the Monique Lhuillier label, and so releases a smaller number of dresses, and yet we are still absolutely spoilt for choice. If you’re in the market for a unique wedding dress that will absolutely wow your wedding guests, then you have a tricky decision to make here! One of the benefits of having a separate collection is that it awards designers a space where they can really afford to push the boat out. 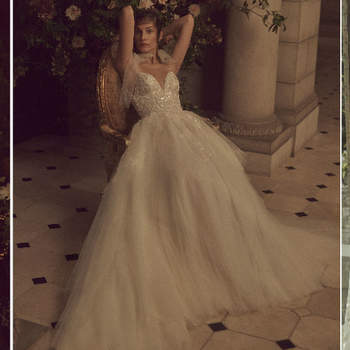 And that is exactly what Monique Lhuillier does here, exploring shapes and constructions that might be just a little too bold for the average bride. This can instantly be seen in Look 7, a satin number featuring a huge decorative bow below a dropped V-back. Similarly, the backless Look 6 features a V-neckline that makes even us blush! However, the defining piece of this gorgeous collection has to be Look 9. With the most delicate tulle cap sleves, we can only call this dress “angelic”. You’ll look truly magical in a dress as beautiful as this! The Bliss Collection is a range that we keep a special eye out for here at Zanykou every Spring and Fall. 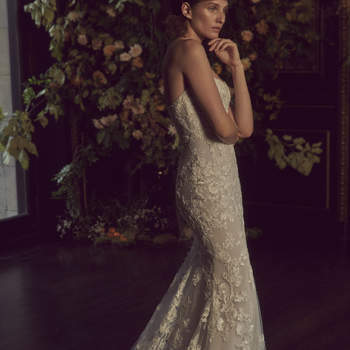 Always guaranteed to make our hearts flutter, this label is inherently romantic – and perfect for the most confident brides out there who want a wedding dress that will capture the attention of every person in the venue. 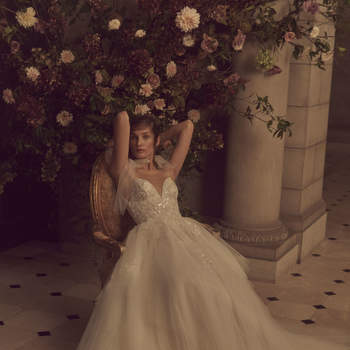 Discover the latest release from the wonderful Monique Lhuillier today! Look 1. Credits: Monique Lhuillier Bliss. Look 2. Credits: Monique Lhuillier Bliss. Look 3. Credits: Monique Lhuillier Bliss. Look 4. Credits: Monique Lhuillier Bliss. Look 5. Credits: Monique Lhuillier Bliss. Look 6. Credits: Monique Lhuillier Bliss. Look 7. Credits: Monique Lhuillier Bliss. Look 8. Credits: Monique Lhuillier Bliss. Look 9. Credits: Monique Lhuillier Bliss. Look 10. Credits: Monique Lhuillier Bliss. Look 11. Credits: Monique Lhuillier Bliss. 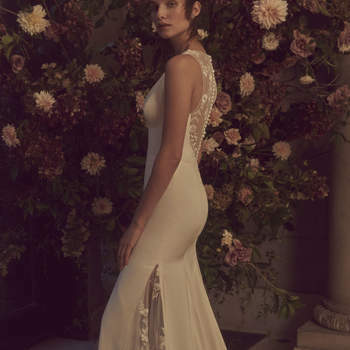 Watters returns with their latest collection for Fall/Winter 2019 - and it proves once and for all that the key to bridal elegance is simplicity. Check out the new range from this fabulous designer now! Though we don't recommend buying your wedding dress online, The Reformation is the best place for buying beautiful bridalwear on a budget - or if you're in a rush! Check out these modern options for your perfect casual or outdoor wedding today. Vera Wang's latest collection - Versailles - for fall 2019 is truly decadent. For a wedding dress that will make you feel like royalty, then take a closer look at this lustrous range and be awed!